This is the second release on Eye Teeth, the new techno sublabel of Interdimensional Transmissions, a remix EP with interpretations direct from the peers of Israel Vines. 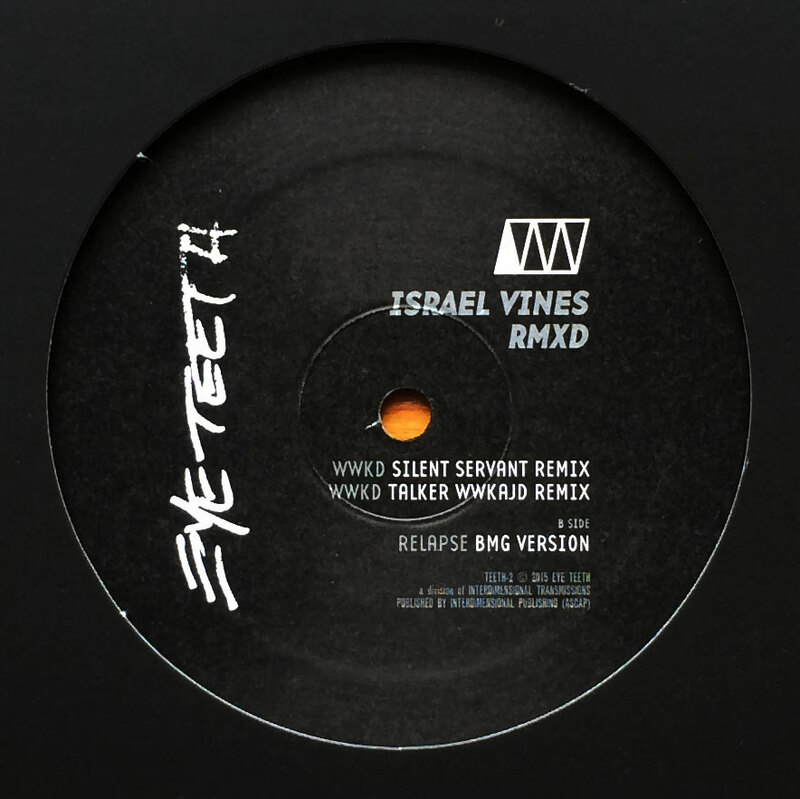 This EP features an incredible peak time remix of "WWKD" from Silent Servant, a long time supporter of Israel Vines, also based in LA. It is followed by another powerful and surprisingly straight techno take on “WWKD” by the often more experimental and industrial Talker. Talker is a Downwards based duo from Chicago featuring John “Stave” Krohn (whom Israel Vines has done a superb remix for on the Trensmat label), and Karl Meier, who besides being a sort of Chicago legendary tastemaker having worked everywhere from Gramaphone back in the day to Regis' & Tony's Integrale distribution also did one of the best records of the Sandwell District catalogue as Kalon. The B Side features a version of “Relapse” by Eye Teeth founder and curator BMG. This is his first published remix created entirely on his modular.